I have a weakness for dollar stores. I walk up every aisle looking for that one thing I didn’t know I couldn’t live without. In some circles, I could be called a collector. In others, an impulsive shopper. I prefer a connoisseur of great values . I like dollar stores, you don’t have to walk miles for a can opener, the stores on average are cleaner than any K or Wal Mart and people actually know where things are. The only small wee problem I have is focus. Who knew you needed a leveler, candles, pens, gas carburetor cleaner ( one day I will actually put it in my car) air freshers and other must haves. Today I was good… not only did I get a new dustpan, some Christmas candles I had to have, Fiddle Faddle AND a new dish brush. Total 8.51. 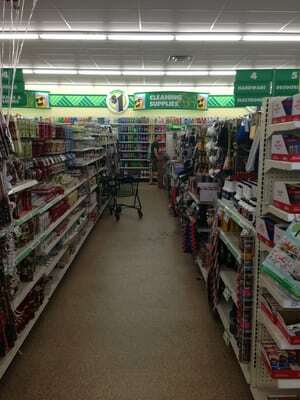 This entry was posted in Buisness, CALIFORNIA, Humor and tagged business, Dollar Tree, sacramento, shopping, United States, Variety store, Wal Mart, Walmart. Bookmark the permalink. I enjoy what you guys tend tto be up too. This kind of clever worrk andd reporting!